Naga City - Dominant in black, white and mint green color, a new coffee shop recently brewed just right in front of Super Metro Gaisano called Phil Cafe. 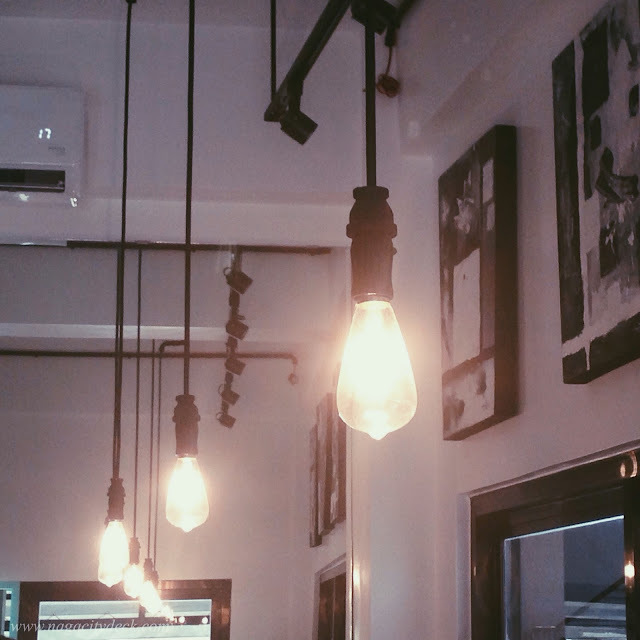 Named after the owner Philip Julius O. Julia, the coffee shop mainly focuses on providing a healthier coffee alternative to "coffeeholics" in the city. 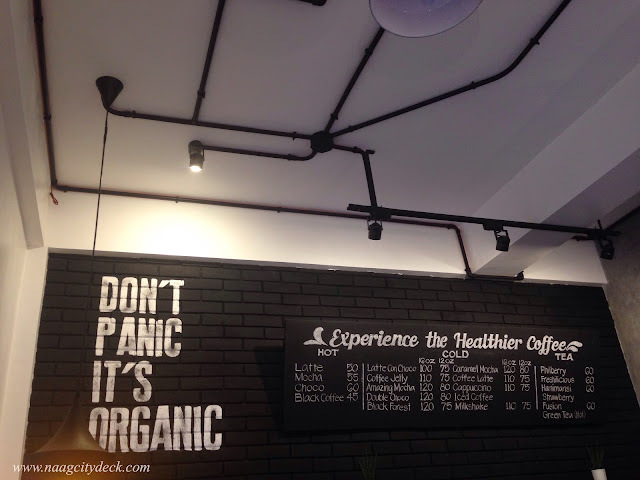 "Don't panic, it's organic". Written on the black painted bricks inside the shop is the core and essence of the cafe. 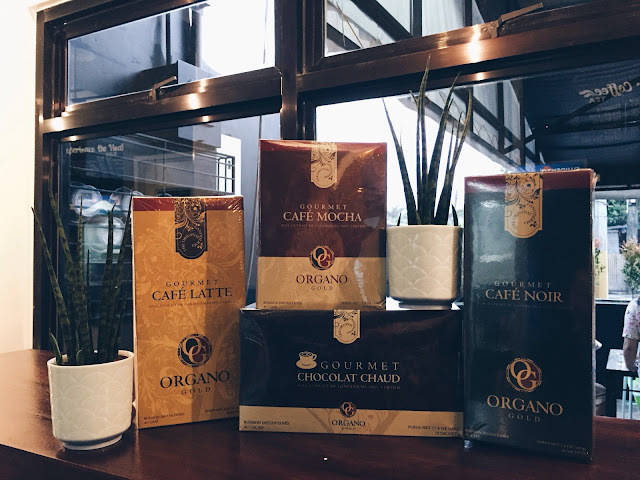 Phil Cafe uses organic coffee that is, Organo Gold as the base coffee. Hot drinks starts at P45 to P60. Cold Frappe Drinks starts at P75 to P120. Tea is only for P60. Guilt-free coffee. There are many health benefits of the Miraculous King of Herbs. To name a few are: It provides more energy and vigor, boosts stamina, clears skin, natural detoxification, improves mental alertness and many more. Health benefits of Ganoderma Lucidum is also good for weight loss, reduces cholesterol levels, anti-aging and has immune boosting properties, it also helps prevent and fight cancer. 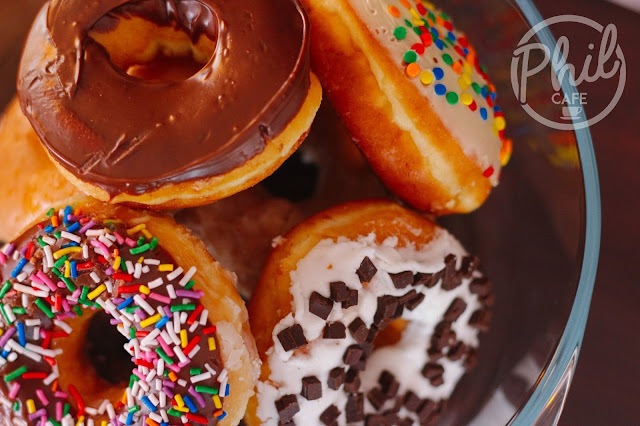 My personal favorite would be the Double Choco. 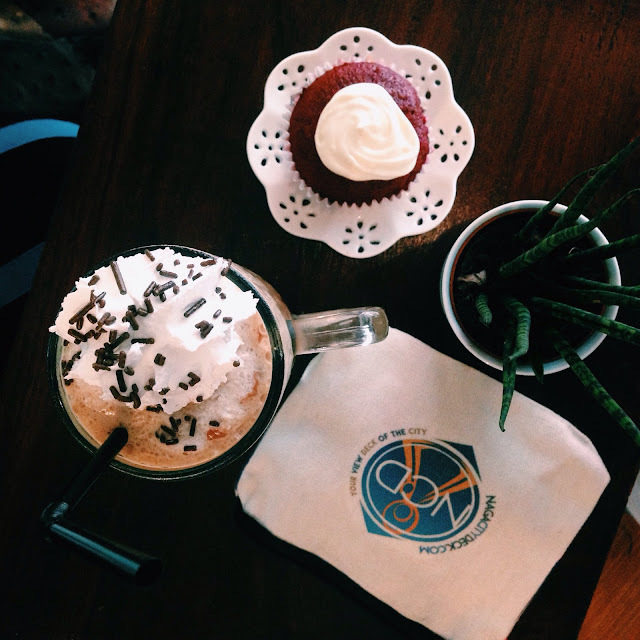 It has a distinct taste from among the different coffee shops I've tried both from the local and international brands. It's not that sweet but not too dark but still "chocolatey". But don't get me wrong, it's still different with mocha, so you have to try it and taste the difference. 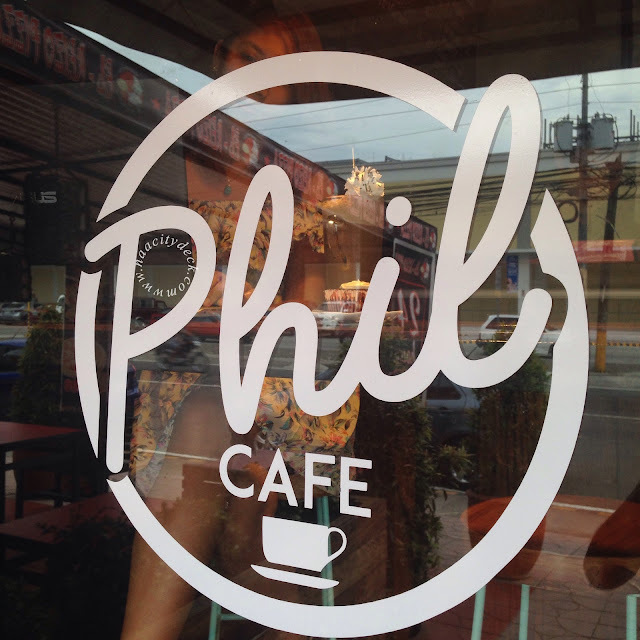 Take your coffee while on a high chair when you're inside Phil Cafe. This actually makes Phil Cafe unique from other coffee shops. There are a lot of chairs on the side of the cafe just in case it's full house inside. 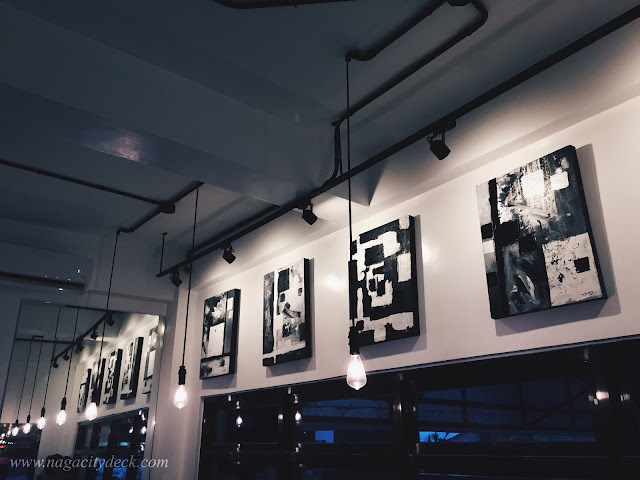 Black and white artworks. Plus, there's a huge mirror towards the end of the coffee shop where you and your friends can take your want-to-sawa selfies or groufies. 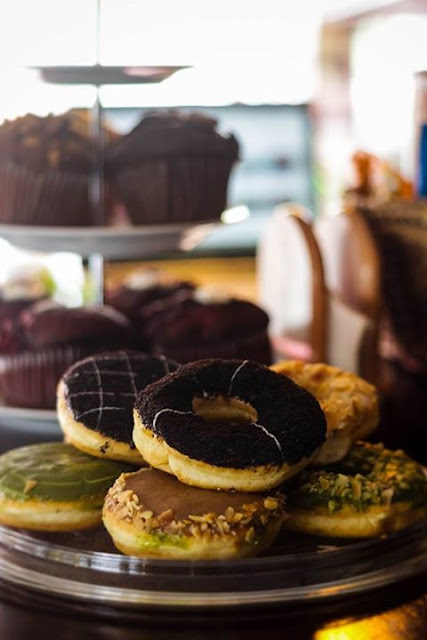 Pastries in Phil Cafe is something you would want to look forward to especially if you're a fan of Krispy Kreme and J. Co Donuts. 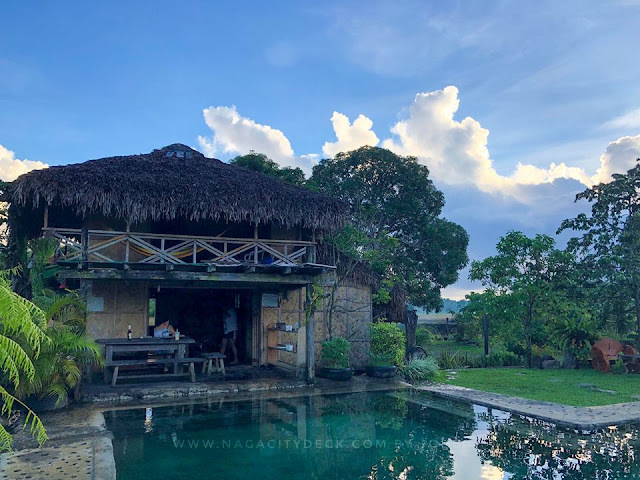 Since both of these brands are not yet here in Naga, Phil Cafe will be our source for the meantime, but I guess it will by piece and not by dozen. 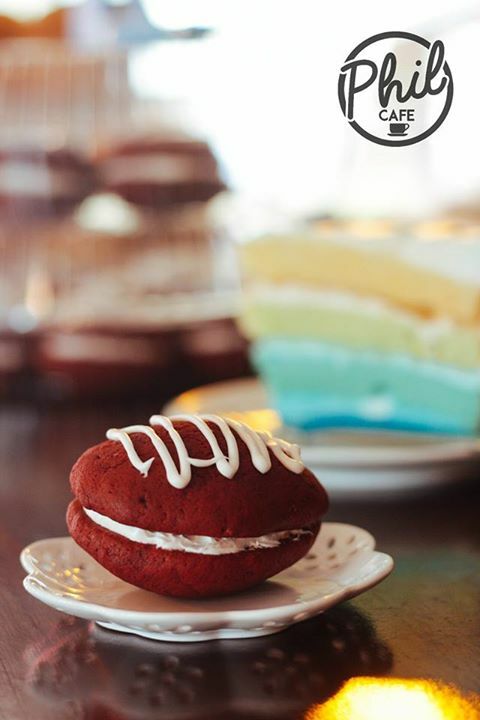 They also have Red Velvet Cupcakes and Red Velvet Whoopie Pies baked by the first lady of our city, Mdm. 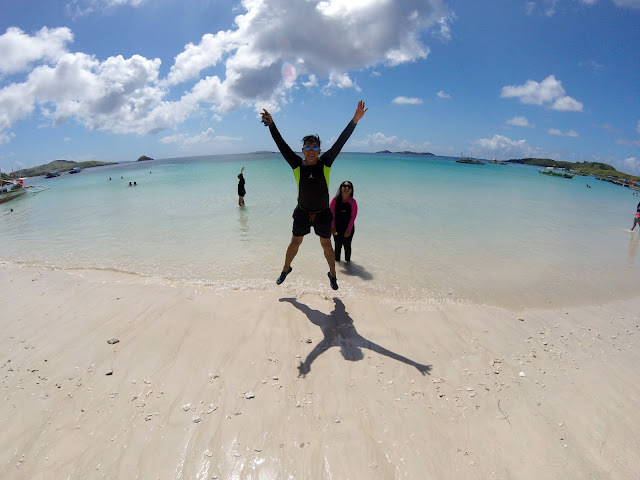 Farah Bongat. 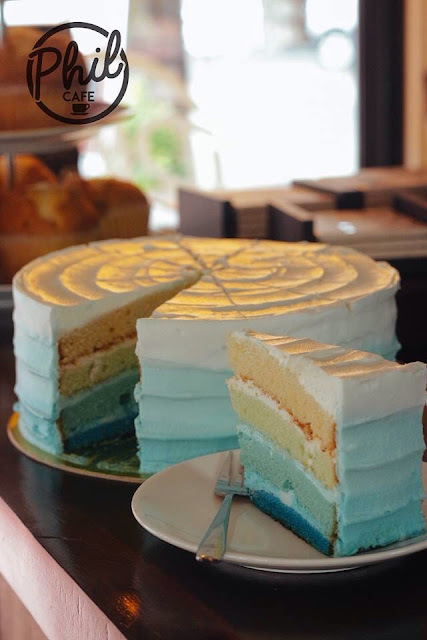 Other pastries available are Strawberry and Blueberry Muffins and the Ombre Cake from Jaella's Cupcake and Factory. 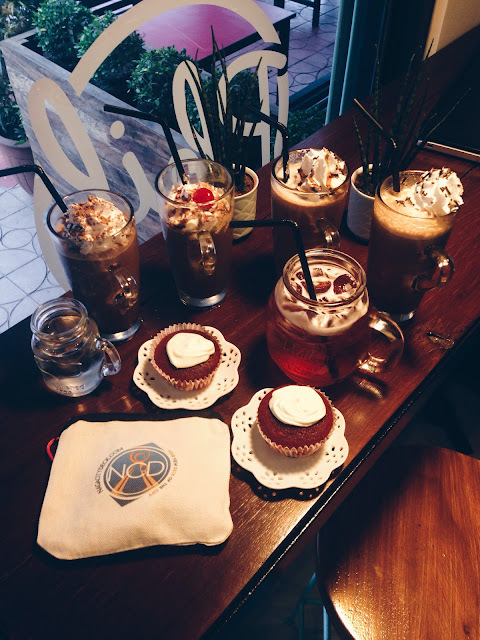 All pastries photo are lifted from Phil Cafe Facebook Page. 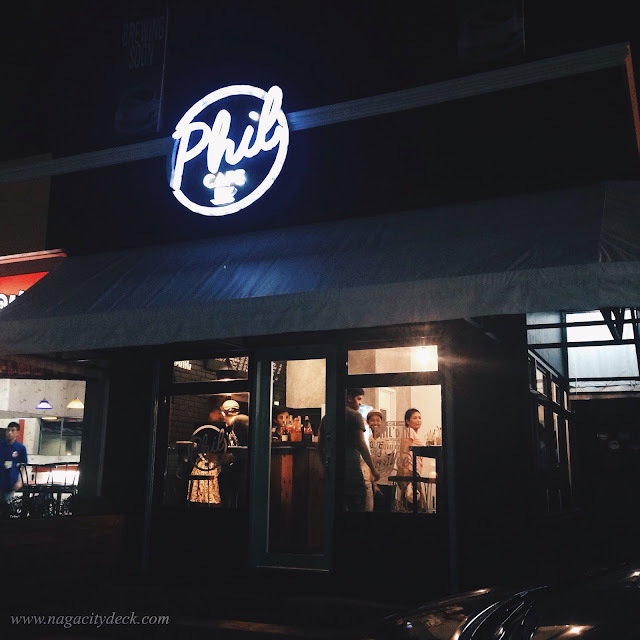 If you are very conscious of your caffeine intake, you might want to visit Phil Cafe along Panganiban Drive. 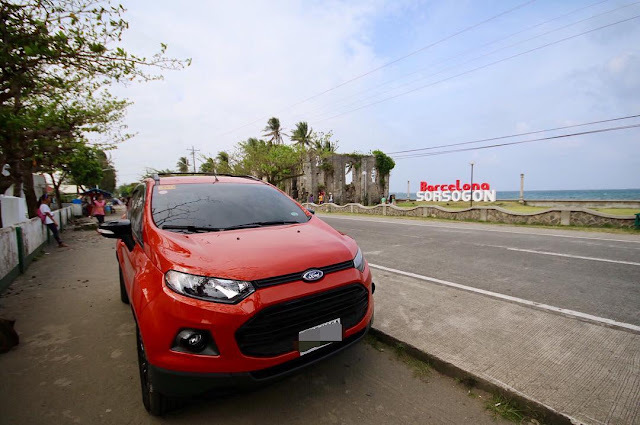 If you're going to Naga's centro, you'll see a huge billboard on the left where it says Phil Cafe and I'm sure you won't get lost. 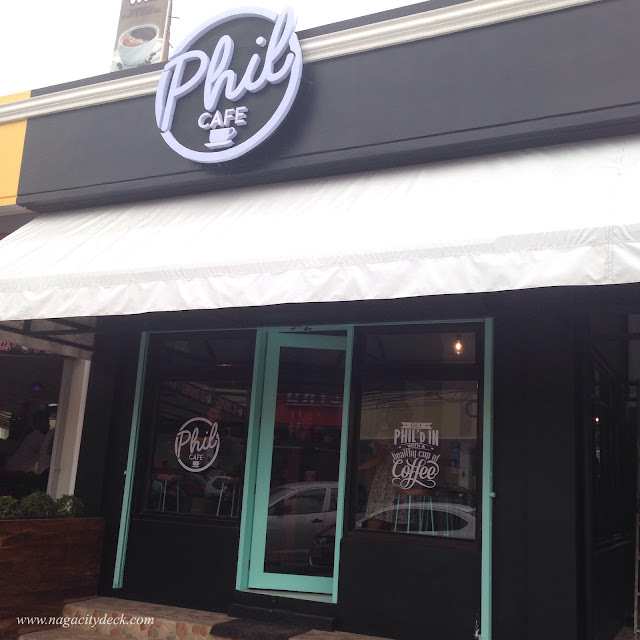 Experience the healthier coffee and "get Phil'd in".